Our work helping businesses build strong brands is tremendously rewarding. Watching businesses and their brands grow is incredibly fun and rewarding - whether the client is a restaurant, software company, real estate professional, craft beer store, or fitness studio. But our most rewarding work comes supporting veteran (and military spouse) owned businesses. As part of this work, I am pleased to share that last week our firm was named to District of Columbia Courts' Capital Pro Bono Honor Roll for 4th year in a row. "We salute you for using your talents and expertise to help those unable to afford an attorney, to ensure that they too have equal access to justice." Legal services are challenging for many to access, and the more businesses that are able to take part in the intellectual property protections our systems provide, the stronger those systems will be. Do you know the difference between TM, SM, and ® and when each one should be used? Most applications experience at least some delay or hiccup. Some experience many hiccups and delays. (One application of mine lasted nine years.) 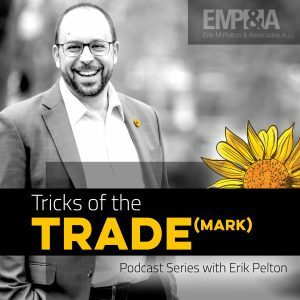 The uncertain and long process is just one reason that an experienced attorney is a great benefit to assist trademark applicants navigating the USPTO trademark application. While this headline is from a recent article takes place in Canada, similar tales have happened in the US in recent years: Humboldt Broncos president displeased by league's trademark application filings for #HUMBOLDTSTRONG and #sticksontheporch after tragedy struck the local minor league hockey team. Can we just agree that catchphrases that develop organically should not be protected by anyone generally? No one should commercialize these phrases or seek to exclude others from using them. Such marks are likely not be protectable as trademarks (they don't function to indicate the source of a product or service) and even if they did, asserting any exclusive claim to the phrase is in poor taste. Legally, the more commonly a term or slogan is used in everyday speech, the less likely the public will use it to identify only one source and the less likely the term or slogan will be recognized by purchasers as a trademark or service mark. See In re Hulting, 107 USPQ2d at 1177 (quoting In re Eagle Crest, Inc., 96 USPQ2d at 1229); TMEP §1202.04. 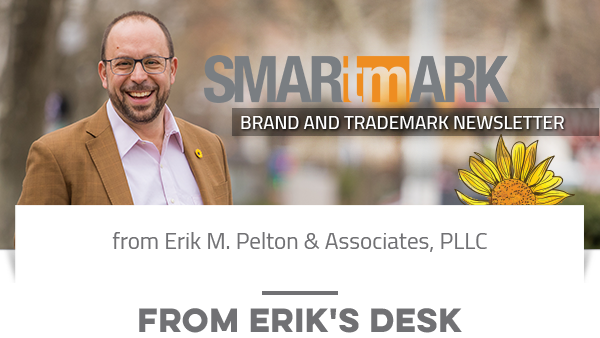 I'll be hosting a round table next week at the International Trademark Association's annual meeting on the topic of best practices for oral arguments in trademark cases. I will be sharing my experiences based on arguing dozens of cases in person at the Trademark Trial and Appeal Board and attending many other hearings.